Why is hands-on science so cool and fun. What the heck is hands on science and why does it matter? Hands-on Science isn't the old science class we had a kids. We are all curious about something. Hands-on science is simply investigating the questions that matter to us by physically doing something to learn. Kids ask so many good questions and many of us learn best by touching and experimenting with real stuff, rather than just reading, watching, or listening. 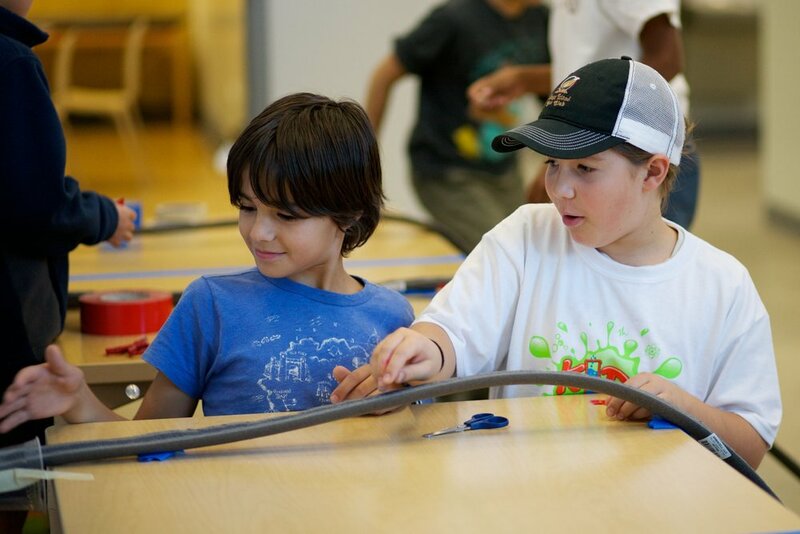 As parents, we want our kids to think about the world to solve problems, and hands-on science is the best tool for teaching problem solving, offering real context, and making the neural connections that enhance creativity and critical thinking in way that improves long term success for kids. We often think of science in terms of museums, a lab table with a boring experiment, a chemical reaction, or an equation we had to memorize. While these things fit the definition, at Kids Science Labs the way we think about hands-on science is “A perspective to approach the world”. We are all scientists because we are all interested in learning. From designing a house, to running faster, getting rid of that nasty cold, figuring out why the light bulb keeps blowing out, or trying to win a court case - we are all searching to know more. This is especially true in young kids and exactly what makes hands-on science a key feature of every kids' life. Why does the juice spill, why is the car so noisy, why can't I jump off the couch...they want to know and their natural curiosity is best met with doing real hands-on science. The fact is that we love seeing cool solutions to basic problems. We are often struck by creativity when someone makes an observation or develops a product that it striking in its simplicity, beautiful in its ability to solve a key problem, and makes us go “why didn’t someone think of that before, it was so obvious?”. Problem solving matters and it matters in a massive way. Problem solving is how we apply what we know to find solutions to complex problems. It is not only how we innovate new medical procedures and design sleeker iPhones, but also how we determine the logistics of getting our kids to activities on-time and figuring out how to squeeze all those clothes Into suitcases on vacation. We think of what we are trying to do, consider alternatives, test a thesis, and then make a series of choices that hopefully result in a solution that works. This basic science process of investigating the curious question, describes perfectly the mind of a child. There is stuff they don't know, so they open things, drop objects, make loud sounds, mix liquids, and ask us "why" all day long. Problem solving is what your kids do everyday and leads to messy kitchens, scraped knees, piles of pillows at the bottom of the stairs, and honey cucumber pancakes. And it is what we do everyday at Kids Science Labs. 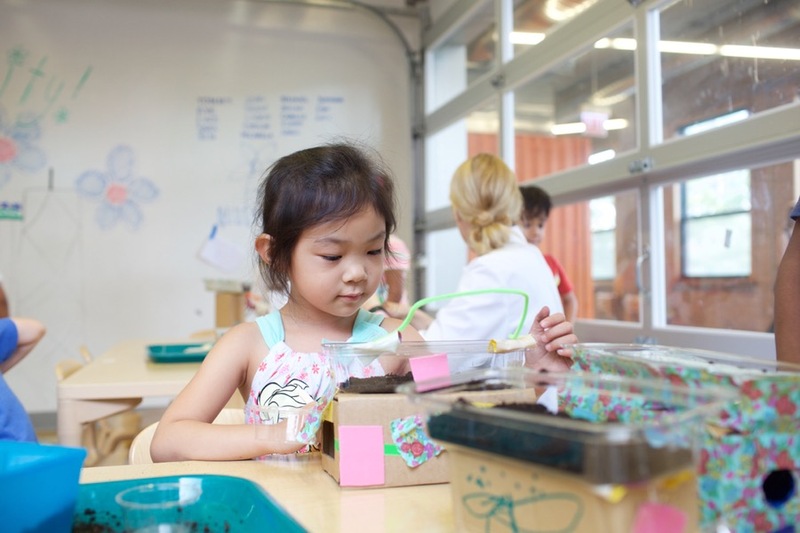 Everyday science starts with a question that matters and we are excited to be that environment where kids can innovate experiments all day and learn perspective on how to solve complex questions that will matter for our future. So that is what we mean when we say hands-on science at Kids Science Labs. It is about thinking about challenging problems, not being afraid of them, trying to understand the core issue, iterating, and continuing to work the solution. It is baked into every class because the equation your kids will learn in high school matters, but it matters much less then understanding what the equation represents. 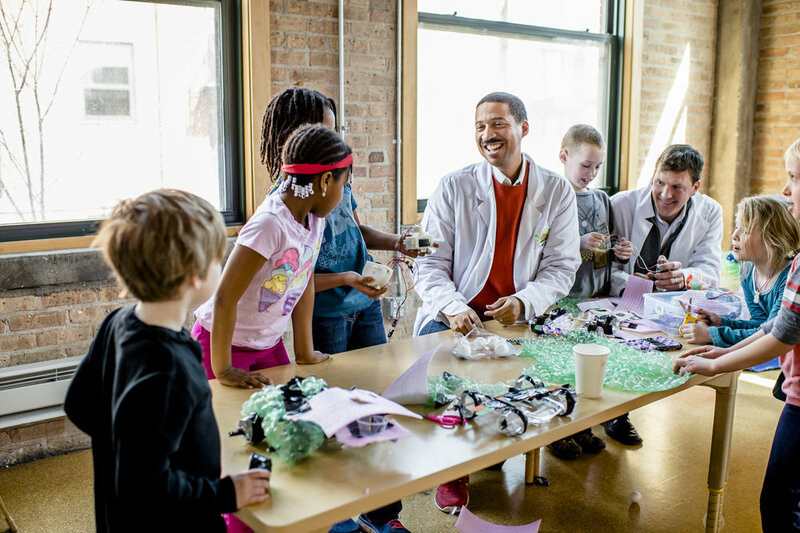 That is how we make STEM classes your kids will love. Hands on science is making a chair out of paper cups, duct tape, and foam board - because it allows us to experience and play while also teaching us about fundamental science. Young kids are not asking about photosynthesis, but are absolutely asking about why leaves are on the ground or why plants need light. They want to know "why" and It is why we have classes about designing shoes, making fidget spinners, why airplanes fly, how to innovate a pen with custom colors, designing lightsabers, and creating our own mobile art studio that fits in the car seat. Hands-on science matters because it helps us learn. It is especially important that our kids do this everyday not because they will all be scientists, but because they all will be curious and need ways to relate and solve the complex problems that the world presents. Come join us to enjoy investigating the world, practice creative design, problem solving, and innovate to give your child an advantage now and in the future.